White blend of Istrian Malvasia, Sauvignon Blanc and Pinot Gris in a equal ratio that aged in wooden barrels for 15 months. Istrian Malvasia gives it a regional note, Sauvignon Blanc gives it softness, and Pinot Gris its character. Wine was also macerated with the grape skins, but for a much shorter amount of time than Sv. Jakov. 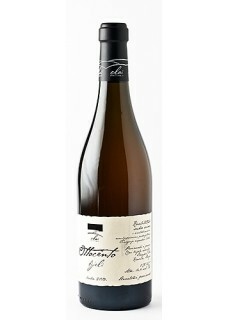 Aromas of lemon curd, acacia blossoms, caramel and Clementine. It's full and rich, almost sherry-like, orange and salty, with a little touch of barrel influence. Gorgeous.